Including a top shelf and a double coat hook. This large locker offers a larger depth than most available lockers with a massive 550mm depth. 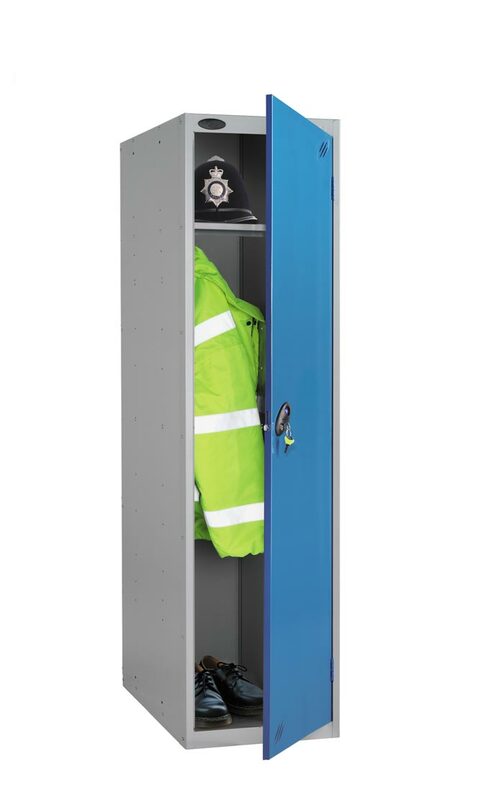 Combined with the 460mm width, top shelf and double coat hook if provides a large and flexible storage space for storing and securing uniforms and equipment. Ideal for police forces, the fire service and military installations.